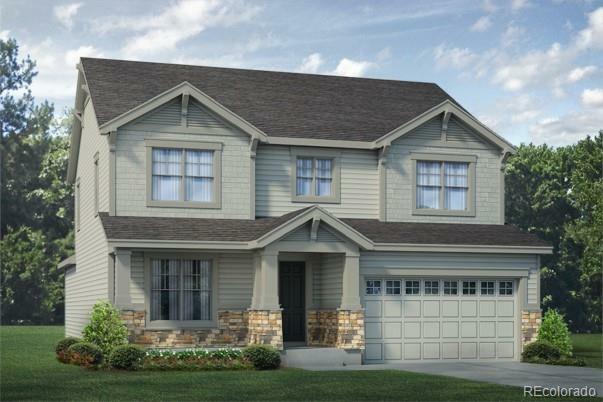 The Glendale II is a well-designed 2 Story that has about 2,561 finished sqft. This home includes a covered porch. The home has a spacious study off the entryway, 3 car garage, mudroom & a powder bath on the main level. The kitchen, nook & great room are illuminated by the natural light let in through the large windows in the rooms. The kitchen will include slab granite countertops, 42" upper maple cabinetry with crown molding, & a stainless steel Whirlpool range, microwave & dishwasher. The flooring will be a flowing combination of engineered hardwood, ceramic tile & carpet. The entryway, nook, luxurious kitchen & great room will have engineered hardwood floors. The great room includes a fireplace & there is also a covered patio on the back of the home. The second level of this home will have three bedrooms, three baths, a laundry room & a spacious loft. This home has an unfinished lower level. This home has engineered flooring installed and will have carpet installed next.